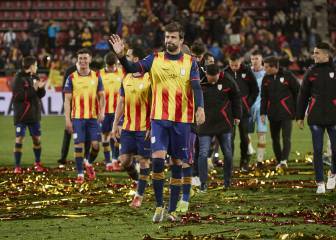 Piqué played with the Catalan team, and not with the Spanish team, which gave rise to numerous comments. There is a lot of desire to stir things up. He explained the situation, one that is easy to understand. The matches for the Spanish national side come in blocks of two and they take you away from home for ten days. 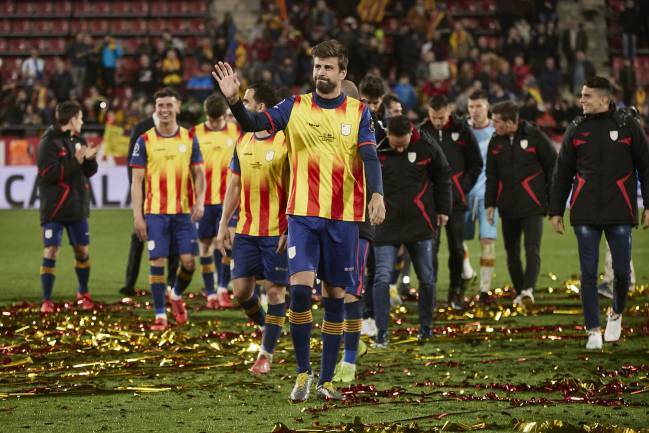 For Catalonia it is a game every year or two, played at home or at a nearby venue, and this gives him the freedom to go to the game without the need for meeting up with the squad the day before. And it's without any pressure. It's a loss for us that he does not play with Spain, but it's not the first time that this has been done, including right now with David Silva, for example. After so many years, when the volume of games, trips, being away from family and other activities starts to weigh heavily, they asked for their time back, and it was given. The Romans called it 'honesta missio' (honourable discharge). Legionaries with a bank of several years of service were given a engraved stone plaque showing the gratitude of Caesar and land that was to be cultivated, generally in the provinces, as this helped to expand the conquered territories and helped spread Rome around the world. I have already said that Piqué was not the first to do this, and will not be the last, and this same thing has happened in other countries. It does not mean, from his point of view, that he has any animosity towards Spain, a team he has fought valiantly for and with whom he has had much success for many years. We do, however, miss him. Other than that, during the Catalonia-Venezuela friendly he made a gesture of demanding respect from those who were chanting such vile against Spain. Just another factor to confirm that Piqué takes great pleasure in the rivalry with Madrid, but not with the idea of Spain. As is often confused - whether instinctively or for other interests - Real Madrid with Spain and Barça with Catalonia, and a certain ambiguity was created around him. Piqué is a provocateur and sometimes messes with Madrid, within a very visible and childish game. But when it comes to the more serious subjects he tries to be conciliatory, and he dresses his children in Spain shirts, which discredits the detractors. Piqué: "My form with Barça has improved since retiring from Spain duty"